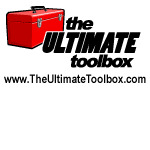 Welcome to the Ultimate Toolbox Updates and Contributions page. This page is intended to help collate and centralize user contributions as well as beta updates to the core source code for each of the Ultimate Toolbox, Ultimate Grid, and Ultimate TCP/IP libraries. We'd like this page to become a central point for submissions of various enhancements and fixes to the Ultimate Toolbox. Those of you who have code that will help others can forward submissions to any of the co-authors of this page. Those wishing to take a more active role can become co-authors, and help to collate and maintain the code base and user submissions. Pretty much anything that enhances or fixes code in the Ultimate Toolbox. A simple zip of a class file can be posted here for review before inclusion into an update. All we ask is that changes are reasonably commented and documented. Links to user submitted articles relating to the Ultimate Toolbox can be collated here as well. We're keeping this fairly open to start - comments and suggestions, as always, most welcome. Comments: This is the first update of the Ultimate Toolbox source files based on user submitted corrections and enhancements. Only the affected source and header files are included, along with an updated ChangeHistory.htm. NOTE: VS2008 corrections have not been addressed in this update. Status: Beta - these files are not yet incorporated into the main Ultimate Toolbox source code download. Comments: This update incorporates VS2008 compilation changes based on user submitted corrections and enhancements. Only the affected source and header files are included, along with an updated ChangeHistory.htm. NOTES: Remaining Vista issues are not addressed in this update. Docking windows functionality may be affected by the move to MFC 8.0 compilation. Requirements: This update assumes Update 01 has been applied. Comments: This update incorporates 64-bit compilation changes to the core source code based on suggested corrections and enhancements. The goal of this update is to allow compilation for 64-bit while retaining 32-bit compatibility with earlier (VC6, VS2003, VS2005) compilers, so that we can continue to maintain one codebase. Only the affected source and header files are included, along with an updated ChangeHistory.htm. Requirements: This update assumes Update 01 and Update 02 have been applied. Status: Alpha - The changes in this download have not been tested on a 64-bit platform - they allow compilation in 64-bit. Compiled using the cross compiler in VS2008. They are offered here for testing. Updates to the sample projects are not included. These files are not yet incorporated into the main Ultimate Toolbox source code download. Comments: This release fixes problems in UNICODE builds and fixes some strange docking behavior. Requirements: Assumes Updates 01, 02, and 03 have been applied. Comments: Miscellaneous fixes including changes for VS2010 compilation. Requirements: Assumes Updates 01, 02, 03, and 04 have been applied. Comments: This new version rolls the four existing updates to UG into a new official release. Additionally, it adds VC2008, VC2010 and VC2012 projects and solutions to make it easier for developers working on those versions. Requirements: None. This is a self-contained full release. Status: Beta - will wait for feedback prior to promoting this as the next official release. Comments: This is a update with corrections for the OutlookStyle demo contained in the samples download for the Ultimate Grid. The project uses files from the Ultimate Toolbox source, and shipped with incorrect paths to these files. The projects now assume the Ultimate Toolbox directory is at the same level as the Ultimate Grid, and uses the correct relative paths. The projects were previously referencing files not required for compilation, two of which are not included in the Ultimate Toolbox source download. The CCellTypeOutlook class is renamed to COutlookGrid. The CelltypeOutlook.cpp and .h files are replaced with OutlookGrid.cpp and .h. The demo shows the grid set up for Outlook style message selection, with read/unread and flag bitmaps etc, and highlights the use of the CUGExpandType, CUGCTOutlookHeader, CUGCTMail, and CUGCTMailSort celltypes. Requirements: Assumes the Ultimate Toolbox source and include files are installed along with Ultimate Grid. Corrections to the existing demo. Comments: This is the first update of the Ultimate Grid source files based on user submitted corrections and enhancements. Only the affected source and header files are included, along with an updated ChangeHistory.htm. Status: Beta - these files are not yet incorporated into the main Ultimate Grid source code download. Comments: This update incorporates 64-bit compilation changes to the Ultimate Grid core source code, celltypes, edit controls, and datasource classes based on suggested corrections. Requirements: Assumes Update 01 has been applied. Status: Alpha - The changes in this download have not been tested on a 64-bit platform - they allow compilation in 64-bit. Compiled as x64 using the cross compiler in VS2008. They are offered here for testing. x64 configurations for the library builds and sample projects are not included. These files are not yet incorporated into the main Ultimate Grid source code download. Comments: Changes and fixes as suggested/submitted by The Code Project community. Requirements: Assumes Updates 01 and 02 have been applied. Comments: This update implements WM_PRINT processing in the main grid windows. Requirements: Assumes Updates 01, 02 and 03 have been applied. Beta - these files are not yet incorporated into the main Ultimate Grid source code download. Comments: This update incorporates incorporates some minor changes based on testing in VS2008 and 64-bit. This update incorporates the initial changes needed for compilation in VS2008 and 64-bit while retaining 32-bit compatibility with earlier (VC6, VS2003, VS2005) compilers. These files are not yet incorporated into the main Ultimate TCP-IP source code download. Comments: This update incorporates incorporates changes and fixes as submitted/suggested by the Code Project community. Only the affected source and header files are included, with the exception of revisions to the secure mail client example (MailClientS). The ChangeHistory is updated. Issues addressed include support for UTF8 based mail messages for Unicode enabled apps, and improvements for SMTPS, IMAPS, and POP3S client connections. Status: Beta - these files are not yet incorporated into the main Ultimate TCP-IP source code or samples downloads. Comments: Two fixes suggested by mpuerto and Rob Caldecott. Only the affected source and header files are included. The ChangeHistory is updated. Issues addressed include support for MIME boundary strings without quotes, and better handling of mail addresses added to the message class via multiple calls to AddHeaderField. Status: Beta - these files are not yet incorporated into the main Ultimate TCP-IP source code download. Initial CodeProject release April 2008.
x64 COXHashTable and DWORD to Pointer casting. sscan_f missing argument. declaration hides. x64 needs DWORD_PTR, it was wrong to simply change dwData to a DWORD. The hashtable & hashNode need changed to a DWORD_PTR. all instances need changed to _PTR types to prevent memory exceptions in x64. It makes the code VERY unclear. "Is this a mistake? No one would create a local (m_) named variable on purpose...but I assume they didn't want to use the member...I guess Ill leave it until I have time to understand it." note: placeholders and their parameters expect 3 variadic arguments, but 2 were provided. The missing variadic argument 3 is required by format string '%255s'. This argument is used as a buffer size. 4) remove all (#pragma message). OXDao.h x64 messages each time included. It's already #defined out, the compiler will error. Re: x64 COXHashTable and DWORD to Pointer casting. sscan_f missing argument. declaration hides. 2. That error means there is a variable at module or global scope with the same name as a local variable in a method or function. Those should be fixed if possible because you have essentially ambiguous variables and those are not good. Recently, we move from VisualStudio 2010 to 2013. I use Ultimate Toolbox that I have compiled it with Visual C++ 2013 in a lib. It compiles and links without problem. When I link this lib with my program, I get a link error: LNK2019 unresolved external symbol. With Visual C++ 2010, the link process was correct. The symbol is the MonitorFromRect Windows function in COXToolTipCtrl:: CalculateInfoBoxRect(). We runs on Windows 7 Professionnal 64 bits. We compile on 32 bits Visual C++. Is there a way to bypass this problem? I had this problem. I fixed it but it required a change to the source of the library and a rebuild of it. What you have to do is remove includes of Multimon.h. In the latest SDK that function is declared in WinUser.h and there are macros to 'map' it. The macros in Multimon.h differ from the one in WinUser.h and the function it's defined as does not exist. Get the last five updates to the library. They have commented it off in several modules. You will still need to rebuild but at least you will have the latest, standard version of the code. I would like to report that I was able to get Ultimate Toolbox building as a DLL (not Unicode) using Visual Studio 2015 with just a few minor changes. This is for a test conversion of moving our software to both Visual Studio 2012 and 2015 Professional. If anyone would like the details let me know and I can post them. I got it to build as a DLL with VS 2015 too, sort of. I am having problems with the bar menu classes and conversion between HMENU and CMenu *. Have you fixed that? Never mind. I see this has been fixed with the updates. Now I have an issue with GetVersion calls in the SysInfo module to either solve or remove. I have update CellTypeDemoGrid.cpp and CellTypeDemoGrid.h to make the code Unicode compliant. This consists of adding alot of _T() constructs to the cpp file and changing a few LPCSTR to LPCTSTR in the cpp and h files. How can I send the code? Above is part of a loop to fill a grid. CUGCtrl::SetCell() ds = m_GI->m_colInfo[col].dataSource; line 2813. Anybody got a version of the grid working in vs2012? MS VS 2010 : I am using an object of COXStatusBar Class (pointer) in the CMainFrame class of my project. I need to refer this same object into two DLLs. When it is used in first DLL then it is working fine but when the same object is being used in the second DLL it is crashing. The function which is being called is "ResetBar" . Does this control is compatible with windows mobile ((MFC apps in VS208) ? Hello, I was just wondering if anyone has been able to get the UTB working with VS2012 yet? I was able to compile the UG without problem but I am having some issues with the UTB and wanted to check if anyone else has fixed the problems yet before I delve in to deep. Looks like VS2012 won't work with XP so I had to change the WINVER in the stdafx from 0x0501 (XP) to 0x0600 (Vista) after that UTB built with out major problems. I would still like to target XP with my application but I may need to stay away from VS2012 until they fix that issue. I have used UGGrid in my application and built in both 64 as well as 32 bit . It was working fine . Now we started using new look of common controls #define _IMPROVE_LOOKANDFEEL InitCommonControlsEx then it started crashing and it seems to be a some paint issue. Got few updates from Code project could solve the paint in 64 bit but 32 bit it is still crashing . In 64 bit when we sort the list it crashes i.e CUGTopHdg::OnLButtonDown which intern points to OnDrawFocusRect of the client . Is there any update for these new look of common controls and 64 bit crash . I wonder when we get full packages with the patches included? I derived my own class from COXEdit, everything works fine till i switch compilation to UNICODE. does enyone konw why it happens? I am using the ultimate toolbox for my application. I have two toolbars side by side in my application. keeping my application on top and if the system is locked and unlocked, the toolbars are at the same positions side by side. But if the application is minimized, and system is locked and unlocked, then the two tool bars which are side by side, become one below the other. how to fix this? SMTP: no response from the server! I'm using the SMTP function to send Email (the Mail example). Unfortunately every time I get error "There was no response from the server". With the same server in Outlook I can send Emails. Can anybody help here? may fail on non-English systems. The font names are different. E.g. "Tahoma fett" on my machine. The effect is that the text is not rendered properly. Especially if the orientation of the text is vertical.